Club Penguin Cheats by Mimo777 Club Penguin Cheats by Mimo777: Club Penguin Adds Puffle Rescue Stamps! Wow, that didn't take long! Club Penguin has already added more stamps we can earn for our Stamp Books! 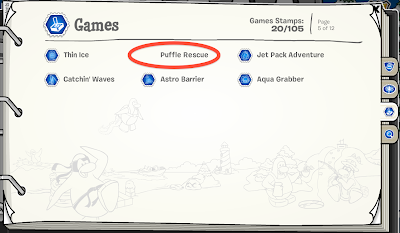 There are now stamps for Puffle Rescue. Or at least there will be when the fix the glitch and the stamps will load! I'm glad they' re adding new stamps! I have 87 stamps and right now I'm stuck on the catching waves stamps and the the ace pilot stamp on jet pack adventure! I am glad they are having new stamps, but I feel rushed. :) Wanting to get them all is hard! on mine it still not there!!!! i am in uk though so i dunno.bluhacker. If you haven't already noticed, in the stamp book in the character section, there is no sensei! so i emailed club penguin to inform them that they did not put sensei in the stamp book. MIMO They removed it from the book so they are editing it maybe for more stamps to earn!!! Hey guys. I'm going to Oregon on Sunday to visit my aunt. It's going to be a six-day drive, so I won't able to mod for like six days. I'm not sure if they have a computer up in Oregon. Just a reminder. Huh? I didn't see that in my stamp book. All I saw was the regular stamps. But it said 33/107 stamps or something. Weird. It looks like they removed it. They were probably testing. mimo i went on my account and i didnt have any puffle rescue stamps!!! they were not there. No puffle rescue! 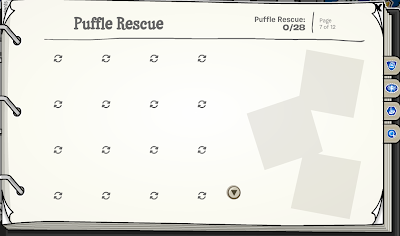 i just checked rite now for the puffle rescue stamps and there not there? Well, first of all, I want them to put stamps for like Going Fishing or sledding. It could say win ten times in a row or something. But anyway I like the stamps and I can't wait for more updates! They've taken them off now for some tweaking it seems. I wonder if the clothing catalog will be released today as the last couple of 'friday' updates have come early. hey mimo did you know that non members could only play the first level of each game its not fair. i looked but the thing that i click to see puffle rescue stamps didnt come up! Sorry if any of this info is incorrect. i dont! im still having trouble with these first ones- especially specifically the game stamps. thats true- its weird... even tho i stink at getting to places in time to meet famous penguins, i still think that they should probably add him. i also think they should see if you have backgrounds from famous penguins already, and if you do, you earn the stamp and you dont have to meet them again to earn the stamp. I just noticed that also! He's in the background but he's not a stamp! Weird.. I know your not billybob but still! We should really take a stand for non members!!! Just because we cant do the same things as members we arent diffrent! Sorry Mimo this post may be a little off topic but I know you get things out prety fast! 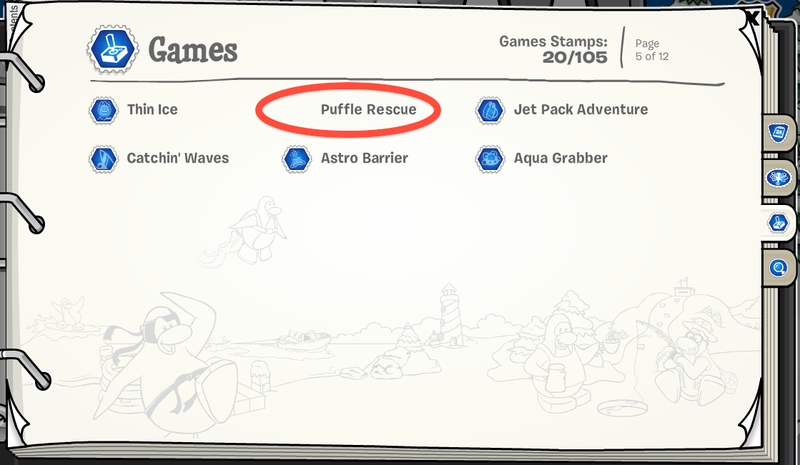 On my stamps there is no puffle rescue stamps... Hmm i wonder why. And it doesnt have it on other penguins stamps either! Hey mimo, i told you first that the stamps were gone...Why didn't you put thanks coolie887? Hey this is kinda weird. My stampbook is just like fluffysheep12345-no puffle rescue. I checked my stampbook over a lotta times and it wasnt there. 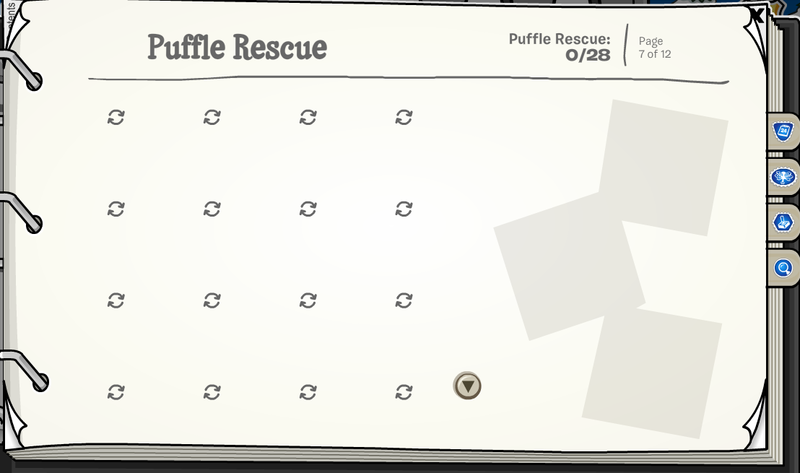 This is very weird but Clubpenguin has removed the puffleRescue! I hope they put it back on! they might of deleted it by accident! play cart surfer you get double the amount of coins you usually do!! P.S this is in the new newspaper!!! You know my comment about going to Oregon? Well, actually it's a three-day drive. Oh I just noticed something. Mimo mentioned MEE! Your Welcome Mimo! I really thought that ppl would beat me to finding out about the Puffle Rescue stamps. I think they took it off because they were just testing something out. Wierd. Well you know how for one of the puffle rescue stamps you have to find coin bags in a secret path (not sure about the wording...) well I know the secret paths. From the first platform you start on there is an arrow pointing downward on the ground. When on this square go down (into thin air) twice, then go left 3 times, then down twice, then right 3 times and down twice more to reach the next platform. Once here collect the gold bag and walk onto the square with the spiral pattern on it. This is a portal and takes you back to the beginning. From here continue your game. First collect both puffles and stay on the last platform. On the last puffle platform there is another arrow on a square to the right. Go off the edge again 5 times to the right, 6 times up and 6 times left until you reach the platform. Once here collect the bag of coins and go on to the portal. This takes you back to the beginning. Continue on your game. On the starting platform there is another arrow pointing downwards. Follow this 10 times downwards, 4 times to the right, 3 times down, 5 times left, 2 times down, 3 times right and 5 times down until you reach the platform. Collect the coin bag and go into the portal. This will take you back to the beginning. Continue your game. Hope these work for you and sorry about all the other posts but can you please contact me or post this so I know you got it.